Conditioner. This is a ready to use base. It can be used “as is” or color and fragrance can be incorporated prior to packaging. Our Hair Conditioner Base is pH balanced, fragrance free and tames unruly hair. Leaves hair feeling soft and smooth. By following the IFRA guidelines and the information provided above, add the appropriate amounts of color and fragrance. Mix until fully incorporated. Package and label accordingly. COMMENTS: I truly love this conditioner base. I usually add jojoba milk and bamboo extract to mine but its not necessary. The reason I love it so much is because it's amazing. Adds shine to hair, takes out the frizz and electricity that we get in the winter and it leaves hair more manageable than other conditioners. So far, my most popular scent is cucumber. I will continue to buy this amazing stuff! COMMENTS: I bought a jug of this. We love it. My husband loves it for his thick hair and I use it to shave my legs, but mainly for my in shower lotion recipe. I think it's the best conditioner quality around. I'm hooked. COMMENTS: My students love the feeling of this base. It is so easy to work with. Incorporated fragrance and colors easily. Definitely recommend purchasing this product. COMMENTS: I combined it with many other great ingredients from WSP as aloe vera oil, avocado extract and many other good stuff, amazing results! COMMENTS: This is the only hair conditioner that I use now. Absolutely love it. Leaves my hair soft and silky. COMMENTS: I absolutely love this base! Takes fragrance very well and is just thick enough!. Please don't ever get rid of this! COMMENTS: I absolutely love this conditioner! It is the best I have ever used in my life, bar none. I have used everything from drug store to salon brands for my curly, dry, fly away hair. This conditioner makes my hair feel silky soft and totally manageable. No more frizz. No heavy, waxy feel. Perfection! I also use it as a leave in by thinning it with a little water. It holds fragrance very well. COMMENTS: Texture is smooth and creamy and easy to work with. Holds fragrance well. I add argan oil and botanical extract blend and it makes a big difference in the end product. Not as good as when we could use the hair conditioner concentrate, but works better than other conditioner bases I have tried. • Price is a little high. COMMENTS: The color is like off white, like someone used vanilla based scent without the modifier. The consistency is somewhere between a gel and cream. I tried to do a tint to mask the beige-y color with the stained glass drops - and color splotches appeared like it would blend in. "Hi! Can I add some of this hair conditioner to your clear conditioning shampoo to make a single shampoo and conditioner beard wash? Thanks!" Staff Answer You can certainly try this. Be sure not to add more than 5% to the shampoo base or you will need to add an additional preservative. "Using this product as-is and not adding any ingredients like water to it, is it safe to use as a leave-in conditioner? or does it need to be washed out? Thanks!" Staff Answer This is not a leave-in conditioner but you can certainly test on your hair as a leave-in. Depending on the type of hair you have, it may be fine. "Hello, can this conditioner be used as a leave in conditioner ?" Staff Answer This would have to be tested on your own particular hair. Leave-in conditioners are usually a thinner product. We do not recommend adding water to the base. "Is this a new formula.? Looks like more ingredients than when I bought it around mother’s day 2018. " Staff Answer We have not changed our formula. This is the same hair conditioner we have had since 2017. "Can Silk Amino Acids Liquid be added to Hair Conditioner Base? If so, how much? 1% Silk Amino Acids Liquid and 1% essential oil?" "Can this be used on animals? Specifically after a dog wash?" Staff Answer This product should be safe to use on animals but we would recommend checking with your veterinarian. "Hi, Does this base have any scent? The reason I ask is because I liked the way my hair felt with your old hair conditioner concentrate but when I used it at the recommended percentage with the recommended amount of fragrance it still havpd an overwhelming chemical type smell. Thank you, Vicki"
Staff Answer The conditioner has a very, very slight odor which can easily be masked by a fragrance. "Is this product tested on animals?" Staff Answer We do not test any of our products on animals. "Is this safe to use on beard/facial hair? Or would this be to harsh and strip the natural oils away?" Staff Answer You should certainly be able to use this on beard or facial hair. This is not a harsh conditioning base. "Can this be heated for easier pouring?" Staff Answer Yes, this can be heated slightly for easier pouring. "Could I add Bubble Wash Thickener if I wanted it a little thicker? If so, how much should I add per gallon of conditioner (assuming I'm only adding the thickener), so that it doesn't get too thick? Thanks!" Staff Answer We would not recommend using this product because it is a sudsing agent. This will add bubbles to the hair conditioner. If you would like to thicken the base, we would recommend using Xanthan Gum to thicken. Start with a small amount, 1 teaspoon per pound, and mix until blended. Continue until product is to your liking. "Is the Isopropyl Palmitate derived from plant sources or from animal sources ?" Staff Answer This information is not available from our supplier. "I was going by the products picture when I ordered it...It actually came in a jar & I am wondering how I am supposed to get it into a bottle. " Staff Answer This picture shows a finished product using this base. There is a recipe linked to the product which you can refer to: http://www.wholesalesuppliesplus.com/education/recipes.aspx?FBI1=11769. "Can you add water to it to make it a leave in conditioner/detangler?" Staff Answer We have not tested this but recommend adding additional preservative if adding water to this base. "Can this be used to make a conditioner bar?" Staff Answer We do not believe this would work. Since this is a liquid, you would need to add some type of hardener like beeswax. You would need to play around with this to see what you can come up with. "Can essential oils be added to this conditioner base? If so how do you add it? " Staff Answer Yes, you can use either fragrance or essential oils to scent this conditioner base. You can choose to heat the base slightly or mix the fragrance right into the base. "What kind of water based products can I add to this conditioner." Staff Answer You can add any of our hydrosols, extracts or Silk Amino Acids. These are all great additives for this conditioner base. "Can water, butters and or oils be added? " Staff Answer This is a ready-made base so it is not necessary to add water. 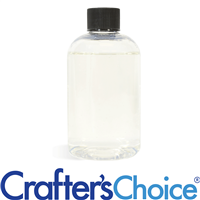 Any additives should be water based so they will incorporate well into the product.